I write in free fall. I let my soul connect to my pen and leave the rest to trust. Sometimes, I don’t even know that I am writing, especially since waking up two years ago with sudden hearing loss, tinnitus and hyperacusis. I find that on awakening, I have fully formed poems, stories and songs in my head. It helped me to write them down and then I found that in actual fact, I had been recording these pearls of wisdom onto my phone in my sleep. There are literally hundreds of recordings. 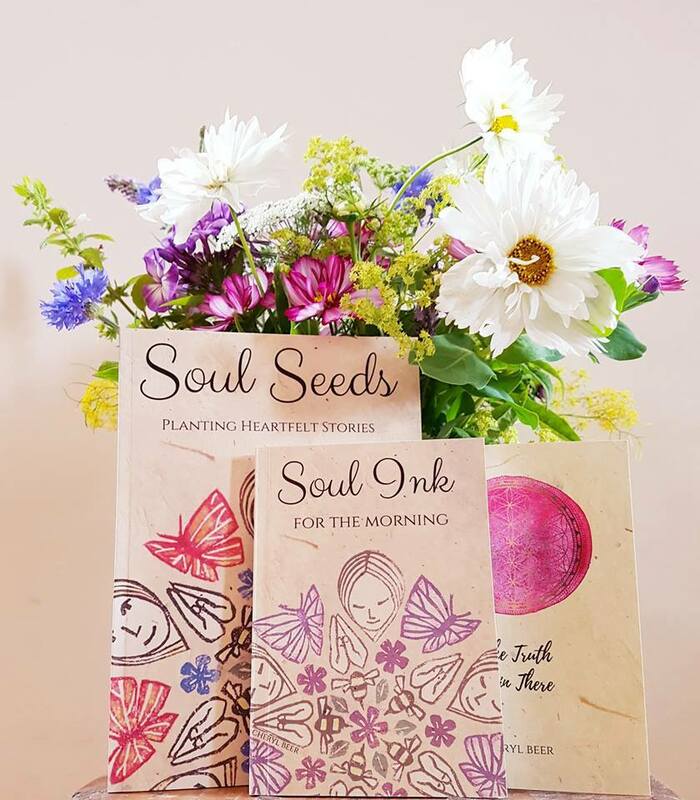 These have become the basis for my new books, Soul Seeds and Soul Ink and The Truth is in There. Writing started for me even before I could write, if that makes sense. When I first started school, I was labelled a bit of a day dreamer, but actually, in my head I was writing stories and poems and little songs. Then one Monday morning in Primary School, the teacher asked us to write our Weekend News and instead, I wrote a story about a black rose growing in my garden. I was so proud of it. I remember drawing the black rose across the page with the stem and thorns intertwining with the words. Well, it got me into terrible trouble. So, my Mum took me to one side and quietly asked me to ‘just write what actually had happened at the weekend, instead of making things up’. The following Monday, I wrote ‘We went to the social club and my Dad got drunk again.’ As you can imagine, this didn’t go down too well either. So, it seemed that neither my imagination nor the truth, were acceptable fodder for Weekend News. In response, my beautiful Mum gave me a little notebook, within which I could write whatever I wanted and in school, I was to write whatever they wanted. I decorated the front cover of that little book and kept it in a box under my bed. Inside, it soon became filled with stories and poems. There have been very many little books under the bed since then, nurturing my passion for creative writing and subsequently publishing, because writing and books have always gone hand in hand for me. 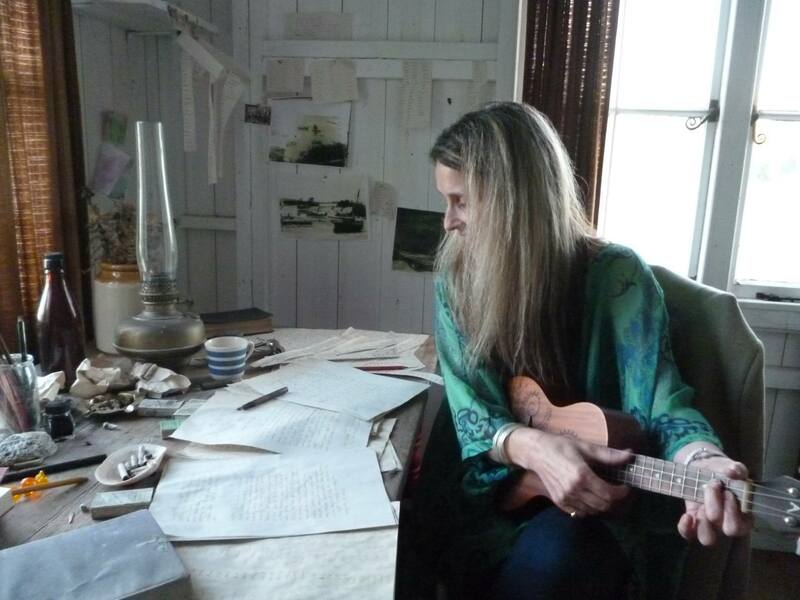 Cheryl inside the Dylan Thomas Writing Shed at Laugharne when she was one of 9 Poets in Residence for the year of the DT100. Photograph Jeff Beer. Writing is my life rather than a special occasion. It can happen anywhere at any time; scraps of paper in cafes, backs of receipts, whatever I have to hand. I have a little notebooks scattered everywhere, just in case. I love making quirky little books and poetry pockets out of felt. I have a little lap tray and make them as a distraction for my tinnitus in the evenings. I have hundreds of them. It is always my intention to sell them and sometimes I do, but I find it hard to let them go. I like to make the little books to reflect the story or poem in them. They are an extension of the story, of my story. 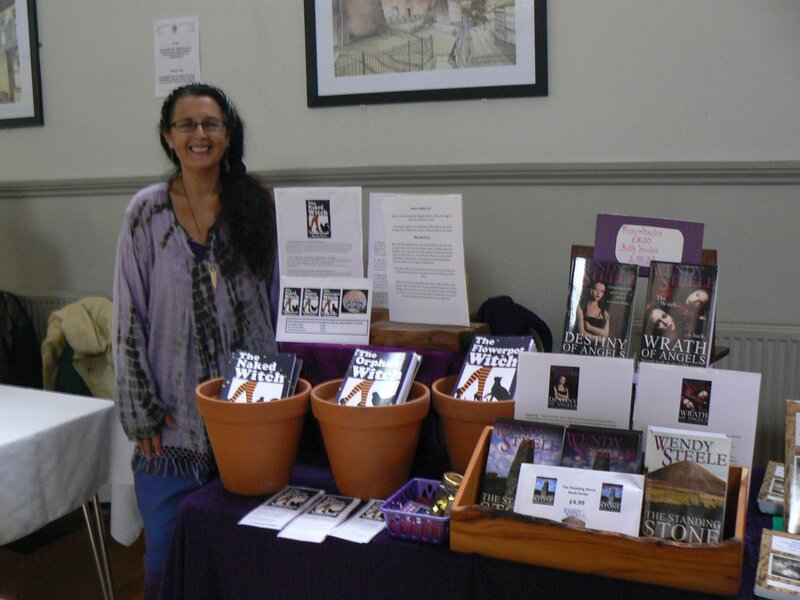 I am a volunteer storyteller at Skanda Vale Hospice. I love going there. I adapt storytelling so that it can be an inclusive, one to one experience at the bedside of those who are at the end of their life. Usually, it inspires them to tell me about their life story. Reading this back, I realise that my life is so immersed in writing, that the things that make me tick outside of my own writing, are associated with it. I even met the love of my life, Jeff, through writing. I auditioned for his band 32 years ago and we became collaborative songwriters before we were lovers. Incidentally, we snook off last week and secretly got married. We had poems in the ceremony. Guess who wrote them? I don’t really need items. I could find a stick and write in the sand. I do need Jeff, my lovely new husband and Maisy, my little King Charles Spaniel. Other than that, I can make do. It will be exciting finding out what the island has to offer. I don’t think I would take any books. Once I have read a book, it stays with me for always. I don’t need to read it again. I might ask 5 friends to recommend books I haven’t found myself, so it will be a nice suprise or more likely, take 5 blank books and keep journals about my adventure on the island, press flowers in them, though it would be more exciting to make books out of banana leaves and ink from berries. I have had dinner with quite a lot of famous people, when I was a touring singer/songwriter, the festivals would lay out tables for us backstage. I really was very blessed to work with the people that had been my heroes and to meet lots of wonderfully inspirational folk. For instance, I was commissioned to write a song for Prince Charles when he opened Llanhilleth Institute and I stood right in front of him, performing it. That was pretty amazing really, that a daydreamer from the council estate could be stood in front of the Prince of Wales performing one of her songs. I don’t think I could ever have imagined that as a child. So, probably, I would like to have dinner with someone who is no longer here. To be honest, my first thought was, oh can I have dinner with my Grandad, please. He’s not famous, but he was the most beautiful human being. Cheryl performing on the main stage at Women in Tune. Photograph Roweena Russell. A tribute album being recorded by other artists of my song archive organised by Mike Kennedy of Welsh Connection Magazine and Radio Tircoed, being released by Death Monkey Records. I have composed a piece of improvised music for a collection of films made by Sean Corcoran, an amazing artist at The Art Hand on the Copper Coast, The films are part of an International Prevent Suicide Campaign, based in Ireland. 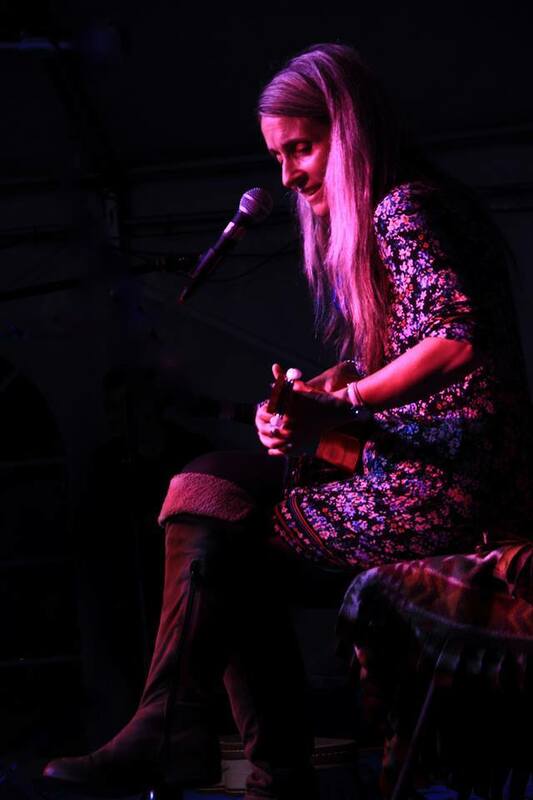 I am currently working on a collection of new songs, finding new ways to perform and record as a hearing impaired person. Jeff is patiently and kindly sound engineering for me. The band Sendelica have released a limited edition 12 inch single of a remix track that I recorded with them prior to my hearing loss. It is the most amazing, far our piece of psychedelic. I am compiling an Anthology for the Inaugural Parlour Press Book Fayre with poets from across Wales and two international guest poets. I am in R&D for a Silent Nature project with people who have end stage dementia. 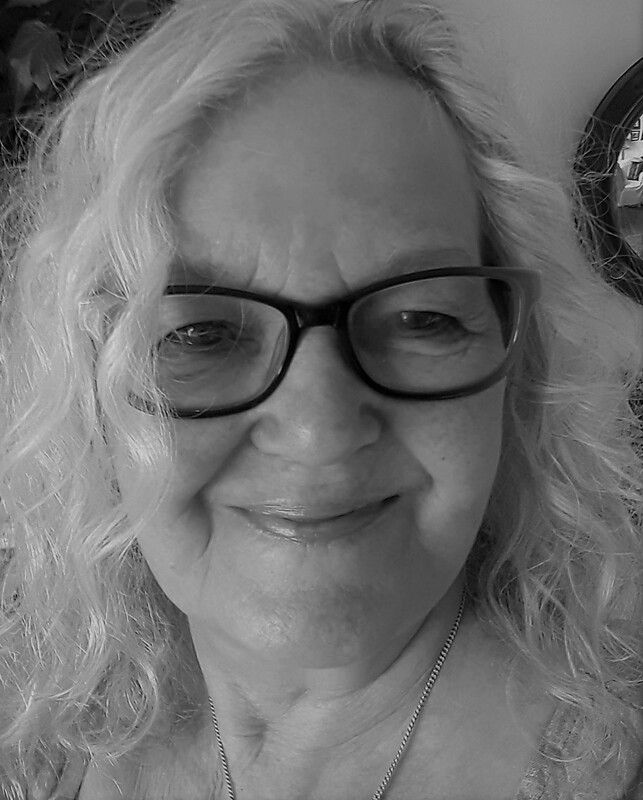 I am working with a client to collate a book of the songs that define her husband’s life, to help him remember his sense of self since moving into a dementia friendly care home. He has been a folk musician and his music helps him to remember. It never ceases to amaze me that every month @ 4000 people follow my Fusion Inspire: Journey Through the Creative Mind Blog. It has had over 140,000 views. 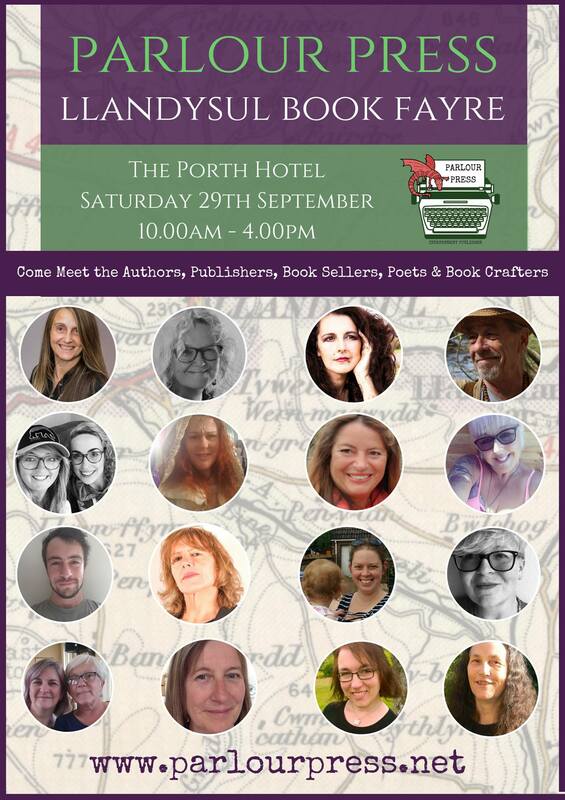 Meet Cheryl, myself and a host of other authors in Llandysul 29th September. Thank you so much for sharing, Cheryl, and I’m looking forward to 29th! 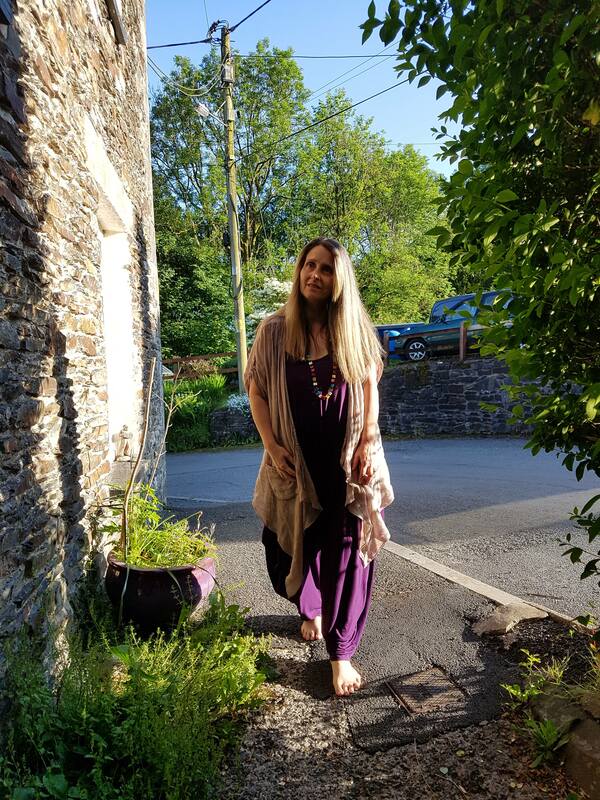 Follow me for more author interviews, writerly stuff, tried and tested plant based recipes, dance and magic. 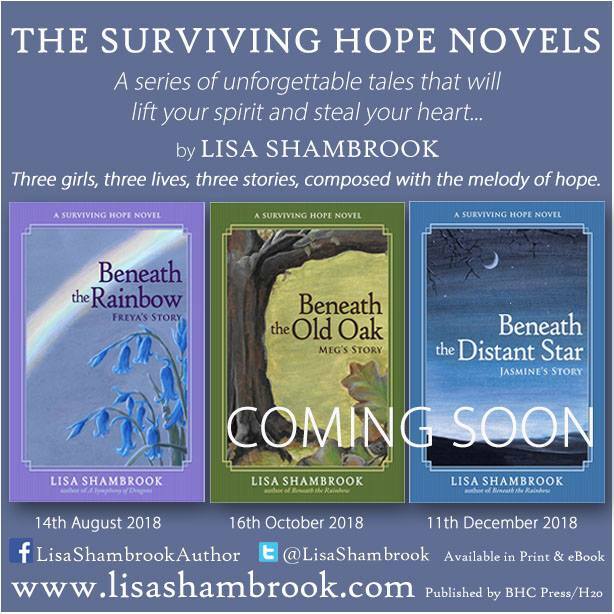 Today I’m welcoming Lisa Shambrook to my blog, another author who lives near me in Wales who I’ve met and chatted to at book fairs. 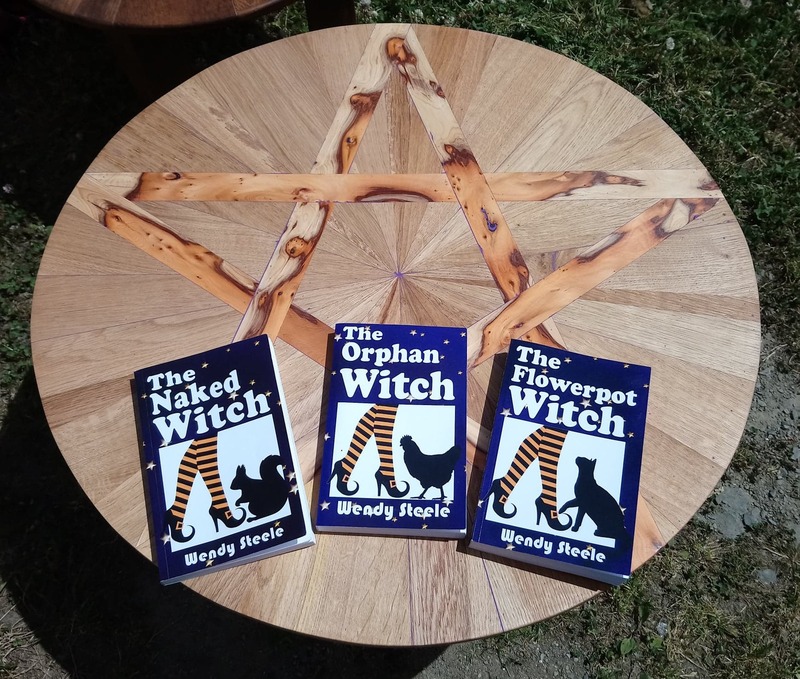 You can meet her on 22nd September at the Narberth Book Fair and 29th September at the brand new Llandysul Book Fair, hosted by Cheryl Beer of Parlour Press Publishing. I wish I could have a writing routine – time set aside to write, but life is just too complicated for that! I write when I have time and I tend to plan. My first novel Beneath the Rainbow had no outline, I wrote as it flowed through my head, and edited thoroughly after to iron out the creases and fix the plot. Subsequent books, though, have all been well outlined and plotted. 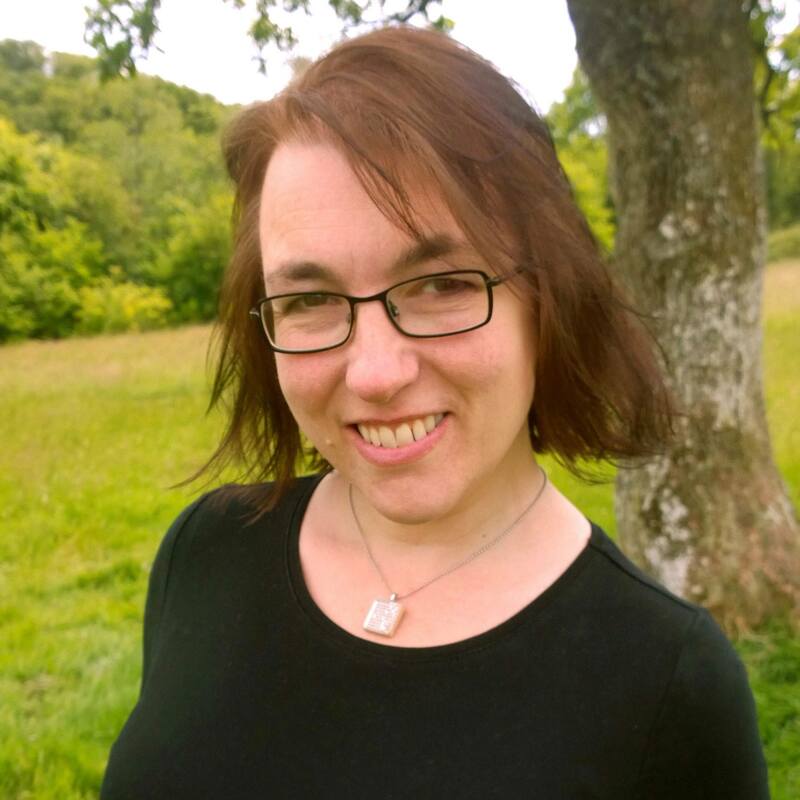 I like to have a scene list to work with, but that doesn’t mean I stick to it – any author will know that their characters evolve, and they, very purposely, throw curve balls at you! I absolutely love it when my characters take the lead and tell me, in no uncertain terms, that they’re going to do things differently to how I expected. It spices up my writing nicely! It might sound odd, but I’m a bit of a squirrel… I suffer from anxiety and panic attacks and acorn cups are my stim. So, when I settle to write I have an acorn cup which I can smooth my thumb over and into while I mull over words and prose. The first thing is my acorn cup addiction and I really do carry them everywhere with me; each of my jacket pockets hold one or two, they’re placed strategically all through my home, and I make a bee line for oak trees! Secondly, I love the stars and the moon and often find the theme threading through my writing. My Dad used to star gaze with us and Orion is always my first point of call when gazing up into the night sky. I’m an observer. I like the small things – they need to be noticed. Every word I write in a novel is important, and is placed for a reason. I like details. Lastly, I’m very partial to Fry’s Turkish Delight and Terry’s Chocolate Orange. I’m going to count my family (hubby and three kids) as my first item – I don’t care if that’s allowed or not, I’m choosing them anyway! I’d want my laptop, but if there’s no electricity and there’s a strong chance there’d be no electricity on a lost desert island, then I’d want notebooks, lots of empty ones, and a pen or two, or three. I’d also like my bed, I hate camping and being uncomfortable, so my bed. And lastly, my camera – no doubt there’d be beauty to photograph and I love beautiful things! I’d take The Lord of the Rings – Tolkien – in one enormous book, The Hobbit – Tolkien, His Dark Materials – Philip Pullman, The Dark is Rising Sequence – Susan Cooper, and The Old Kingdom series – Garth Nix. But if I was limited to only five physical books, it would be Garth Nix’s Old Kingdom: Sabriel, Lirael, Abhorsen, Clariel, and Goldenhand. Oh, wow, so many to choose from! I’ll be honest, I can’t actually choose between Sir Patrick Stewart and Sir Ian McKellan. I’m ready to begin writing the third book in the trilogy, and hopefully book one will be out in 2019. Beneath the Rainbow – Freya won’t let anything stand in the way of her dreams – not even her death. Now her family will need to uncover the clues to her secrets before it’s too late. Human 76 – Fragments of a fractured world. Follow Ghabrie on her desperate quest through a stark post-apocalyptic world to find her lost sister. 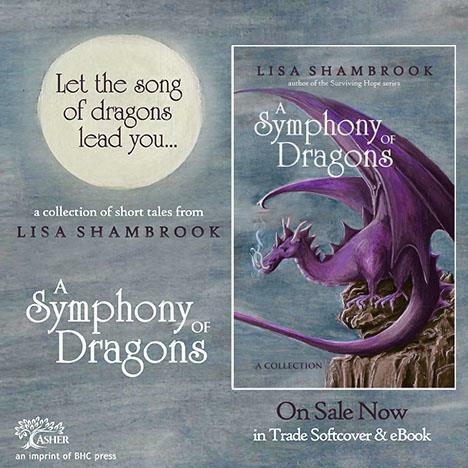 A unique book of short tales from myself and 13 other authors. Thank you for joining me Lisa and I love and agree with so many of your answers! Getting to know other authors really helps on those long, cold, wet days when it’s just you and a restless, unhelpful WIP! 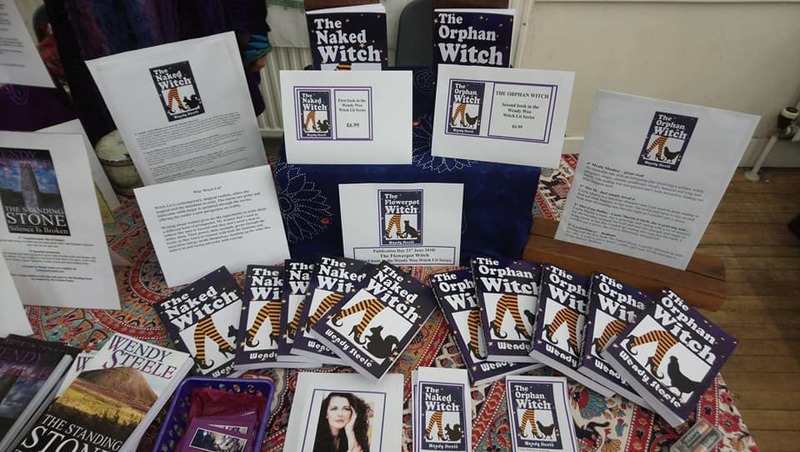 Today, I’m blogging my interview with Carol Lovekin, an author who lives in my nearest town here in West Wales, whom I’ve had the pleasure to meet and chat with at book fairs over the past couple of years. 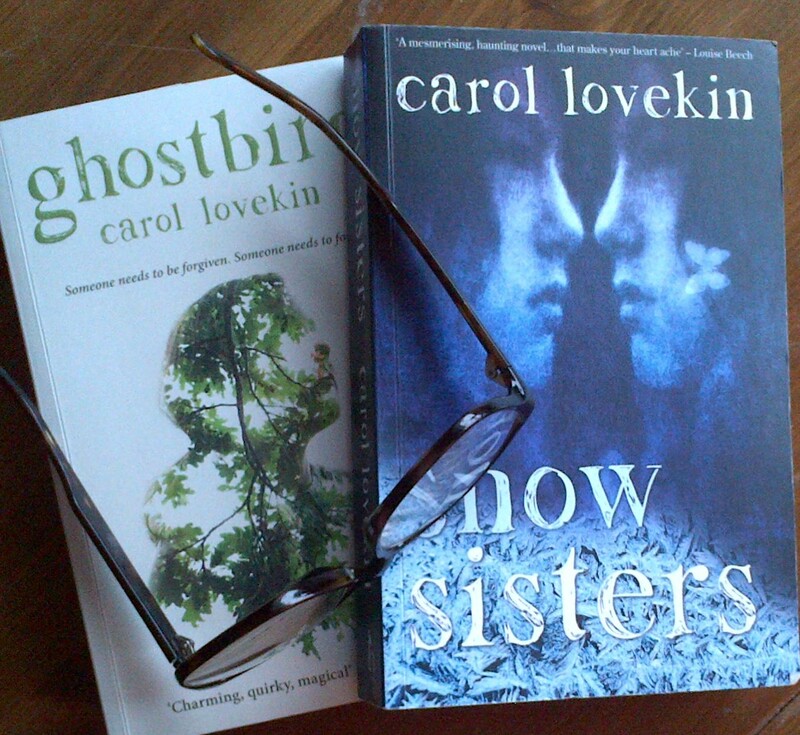 Carol is published by Honno Press, a Welsh based women’s press based in Aberystwyth. 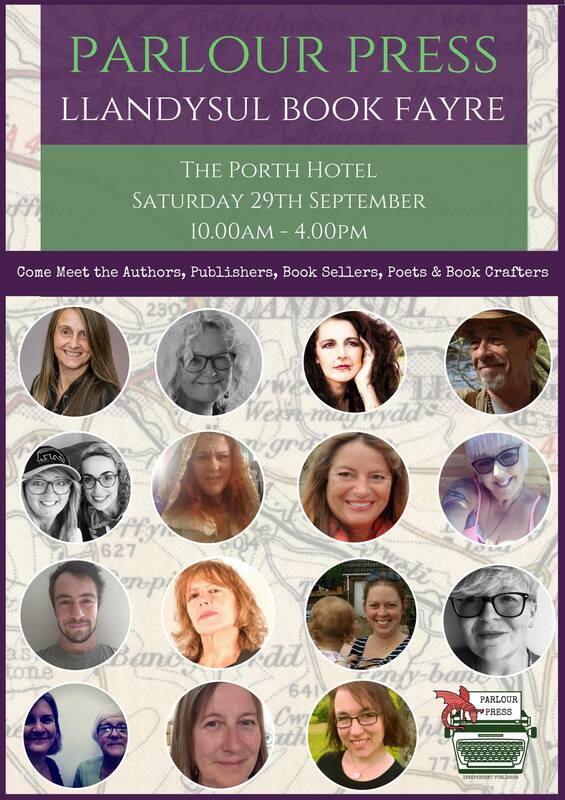 Carol will be at the Narberth Book fair on 22nd September and Llandysul, hosted by Parlour Press Publishing on 29th September. I’m a plotter. The idea of writing a book without a plan terrifies me! It’s hard enough with one, frankly. I write a detailed outline. That said, I’m up for the challenge. If plot, characters &/or other factors (editor?!) suggest tangents, I’ll go with them. It’s part of the excitement of conjuring a story. Characters in particular have a way of knowing where they need to go. I have magical, writing earrings! They’re odd – an amber one & a moonstone. Until I lost one of each original pair they were favourites. Rather than abandon them, I paired them up & gave them a role. And I do like a tidy desk. I can’t work in a mess. I hand write in pencil on unlined artists’ sketch pads. I can swim underwater for (almost) the entire length of my local swimming pool. Working on those last three metres! I didn’t learn to drive until I was 59. I don’t do even numbers. Knife. Flint. Huge box of pencils. Big box of paper. Teapot. To Kill a Mockingbird by Harper Lee. My favourite book. Immaculate writing & a superb indictment of racism in America. Mrs Dalloway by Virginia Woolf. Sublime writing; a beautifully constructed novel & a moving exposé on the reality of war. Possession A S Byatt. Insanely good writing & the best dual narrative novel I’ve ever read. The Story Sisters by Alice Hoffman. I love her take on magical realism. The writing is lush; it has an indefinable quality to it. One project at a time for me. I’m currently editing my third book. It’s like wandering through a vast wild wood. Luckily, I have breadcrumbs. Join me soon for another author interview; a peep into a modern writer’s life.